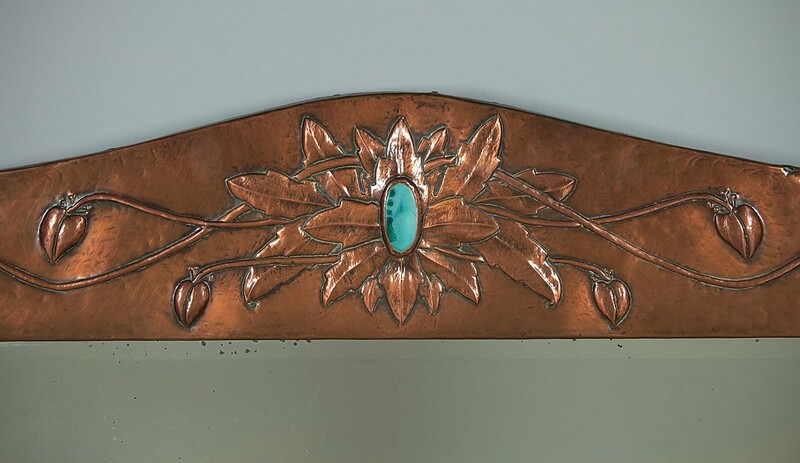 Arts & Crafts Copper Overmantle Mirror. 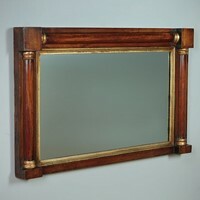 Exceptional late 19th.c. 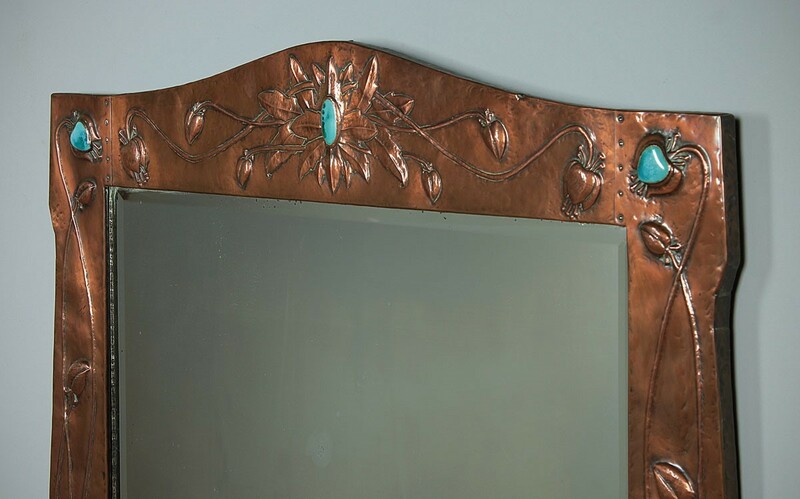 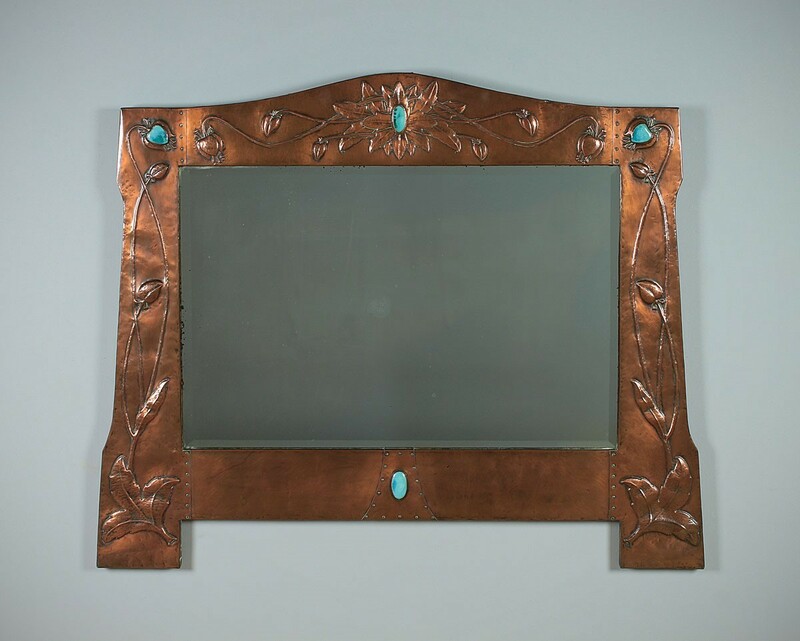 Arts & Crafts copper overmantle mirror in the manner of Liberty & Co. c.1890. 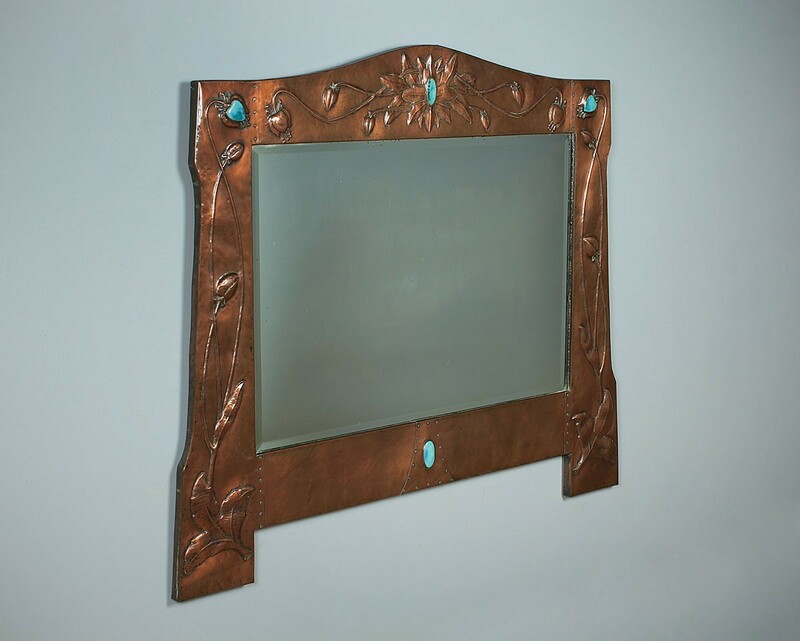 Original 30″ x 20″ mirror plate with bevelled edge within a beautiful repousse copper frame. 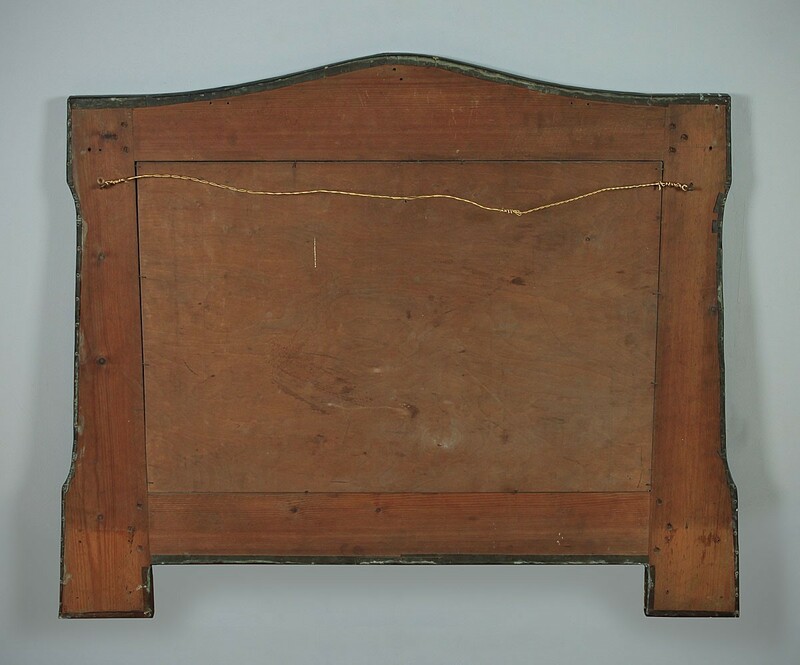 Unusual shaped frame designed to stand over a fireplace or sideboard perhaps. 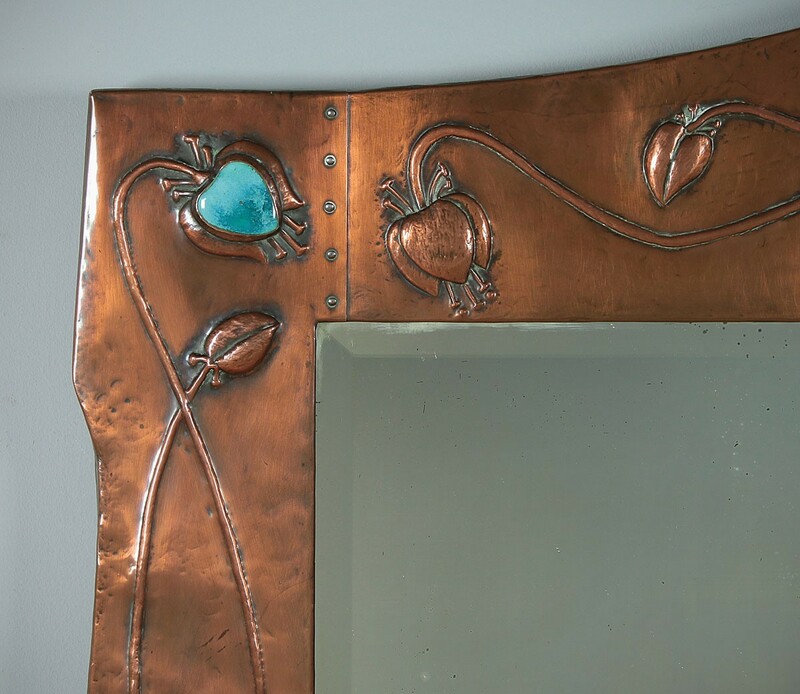 Featuring a raised design of stylized poppy flower seed heads on long whiplash stems, a typical Art Nouveau motif. 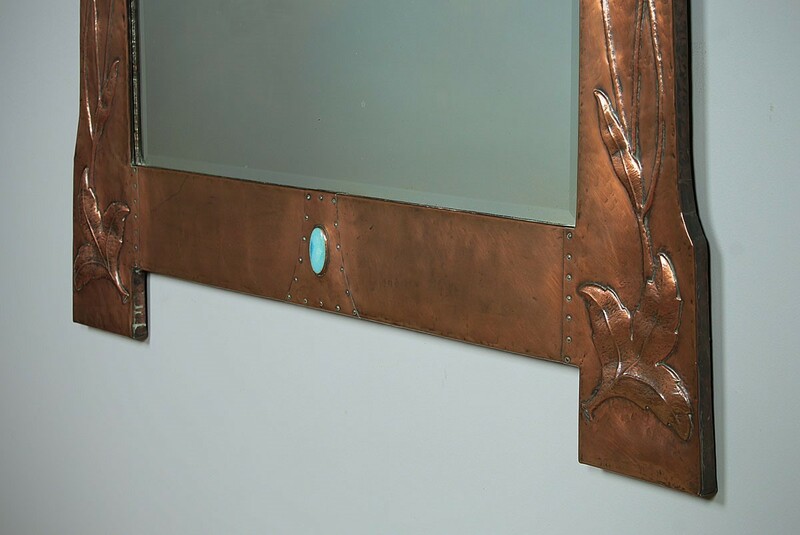 Set with lovely blue Ruskin type cabochons and joined with expressed rivets. 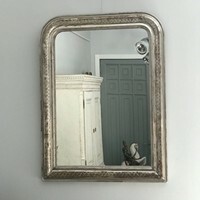 Minor spotting to the mirror, otherwise superb original condition.